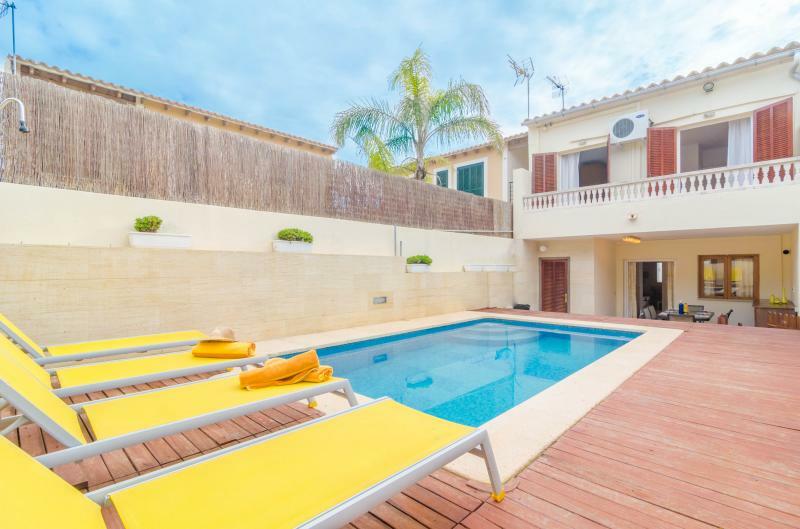 The outdoor area of this house counts with a front porch, with a small garden, as well as a patio on the backside of the house, with a private, chlorine pool of 8m x 4m, and a depth ranging from 0,9 - 1,9m. 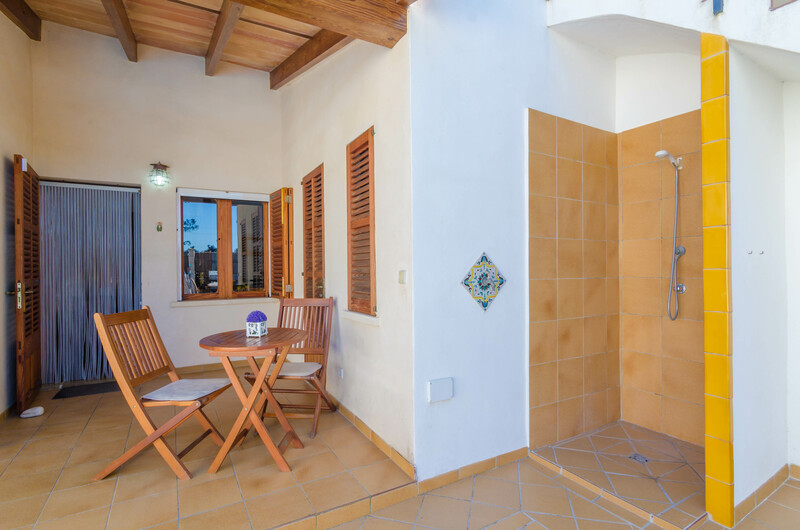 Around the pool, there are 6 sun loungers, to relax and enjoy the mediterranean sunshine, while your loved ones start preparing a tasty barbecue. 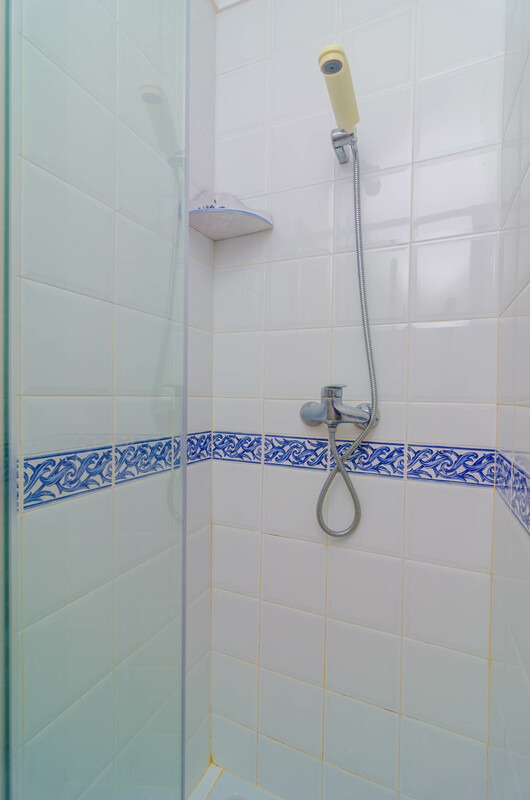 There is an exterior shower, to wash off the sand or the chlorine. 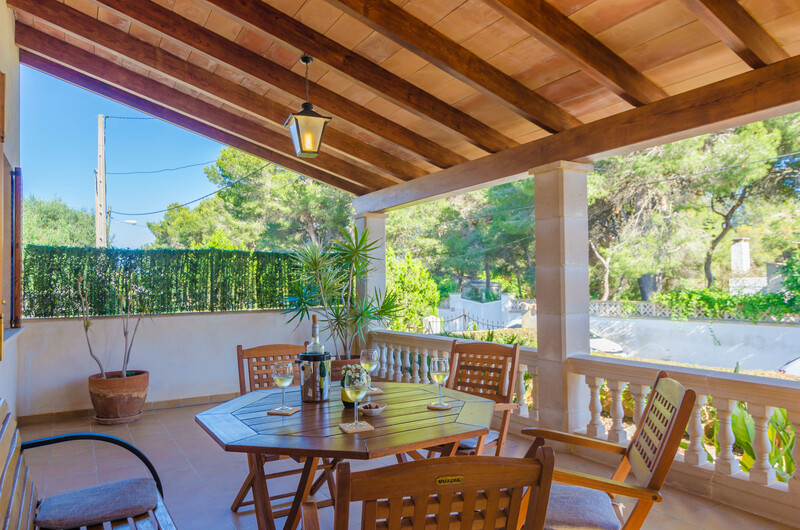 On this patio, you will surely enjoy memorable meals and after-dinner conversations under the starry sky. 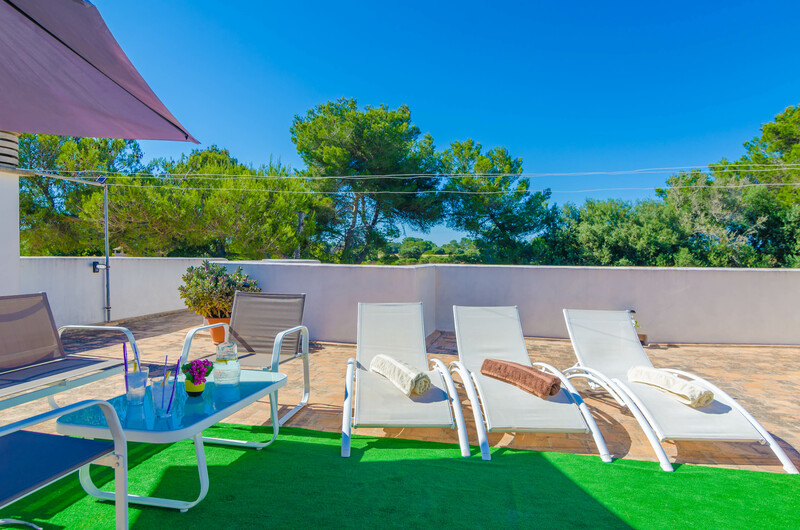 On top of the house, there is a large, furnished terrace, to enjoy some intimacy. 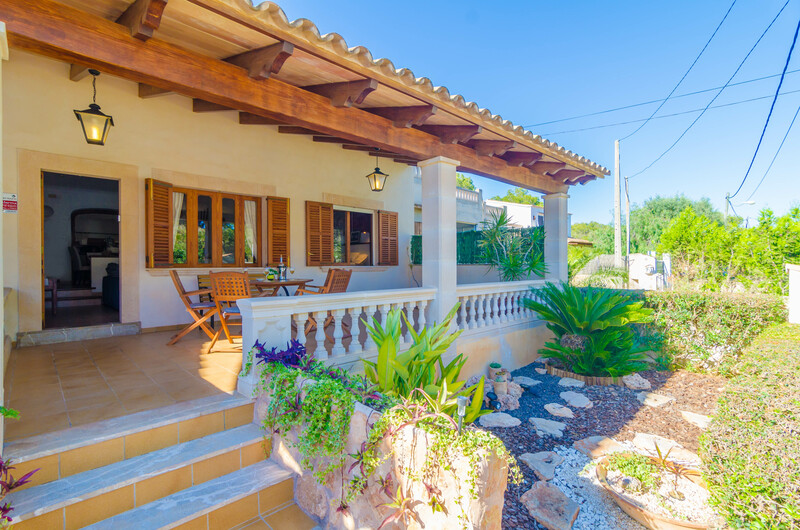 As the house is situated in the village, there are direct neighbors. 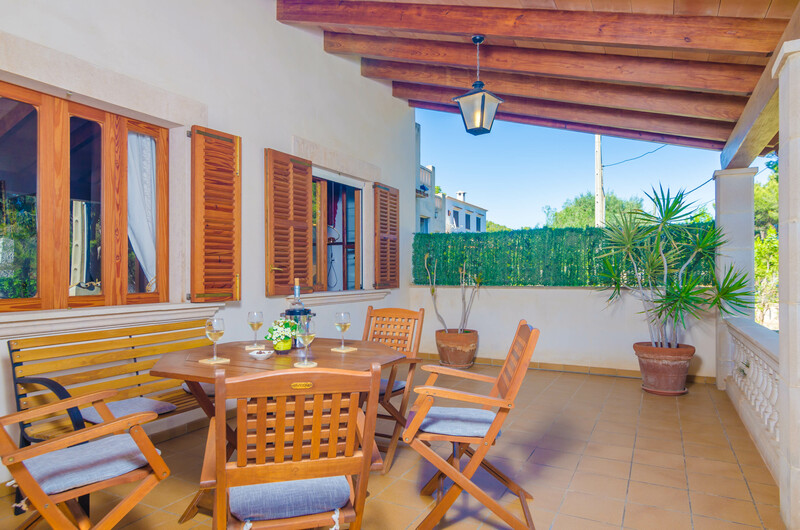 Nevertheless, the patio has total privacy, because of the walls on both sides. 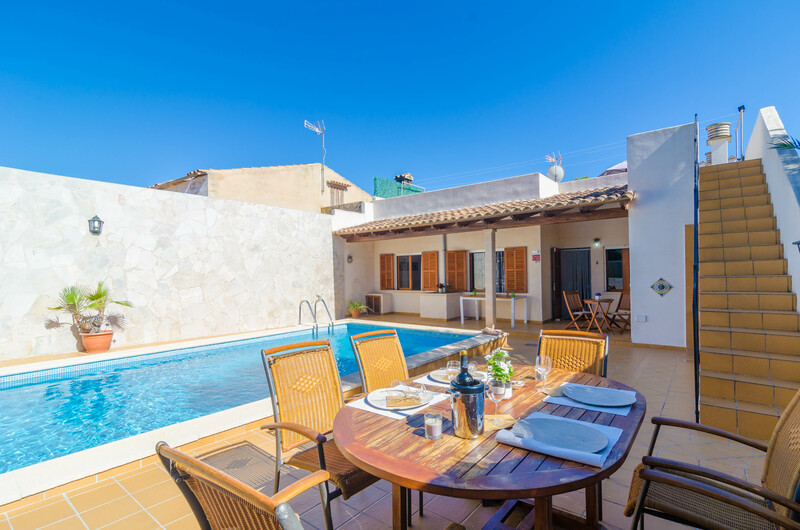 The house is ground-floor only (except for the 1st-floor terrace). 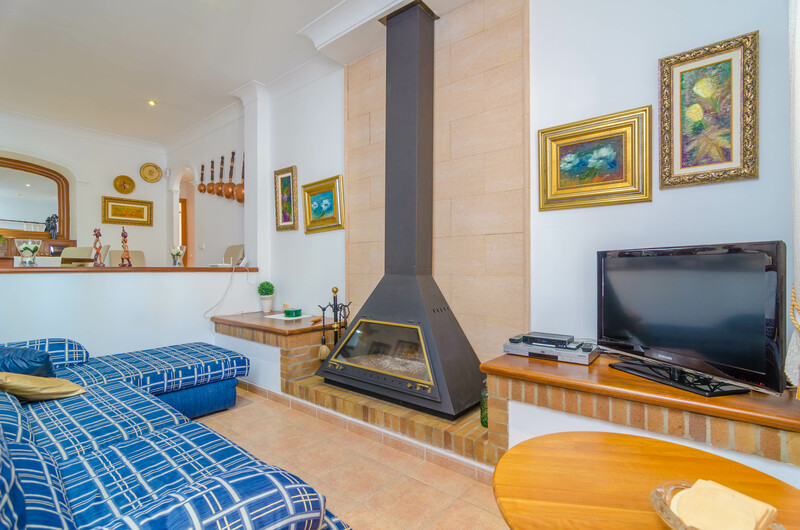 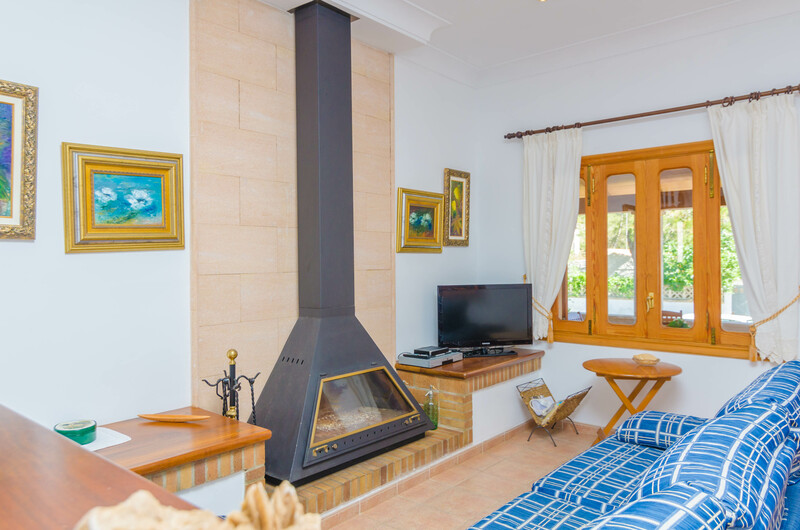 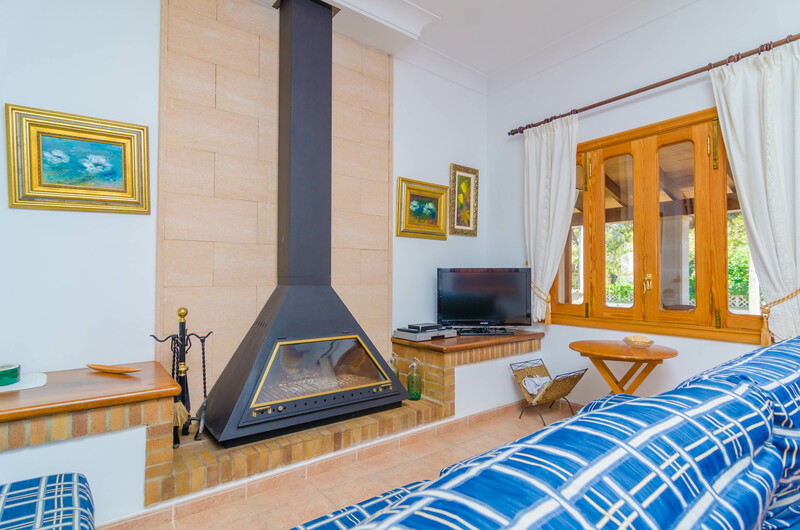 In the living- and dining room, you will find a comfortable sofa, satellite television, DVD, CD, wifi and a fireplace, to watch a good movie with your family or enjoy a typical "siesta". 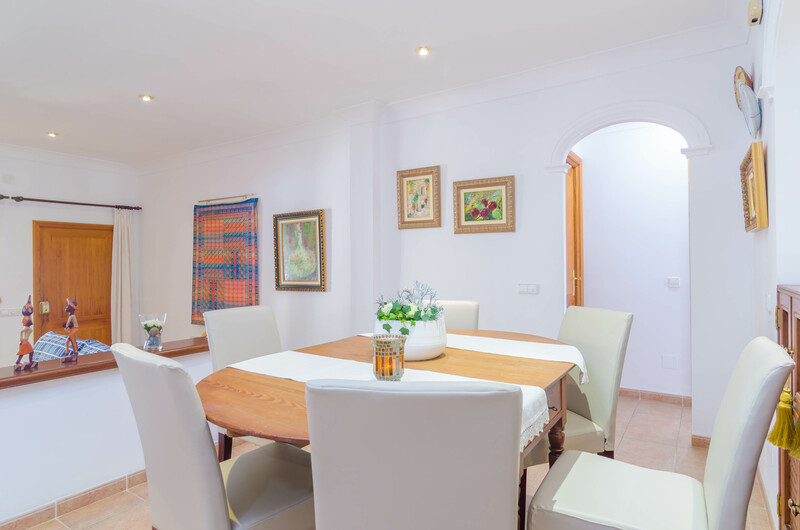 There is a dining table for 6. 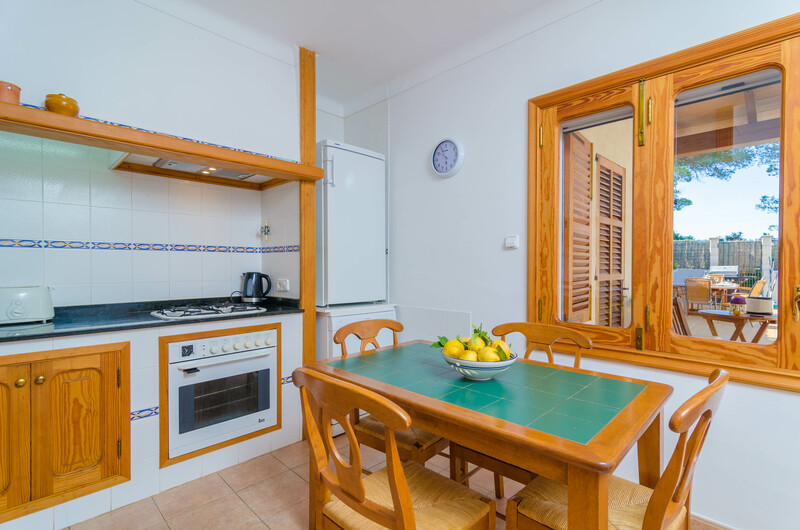 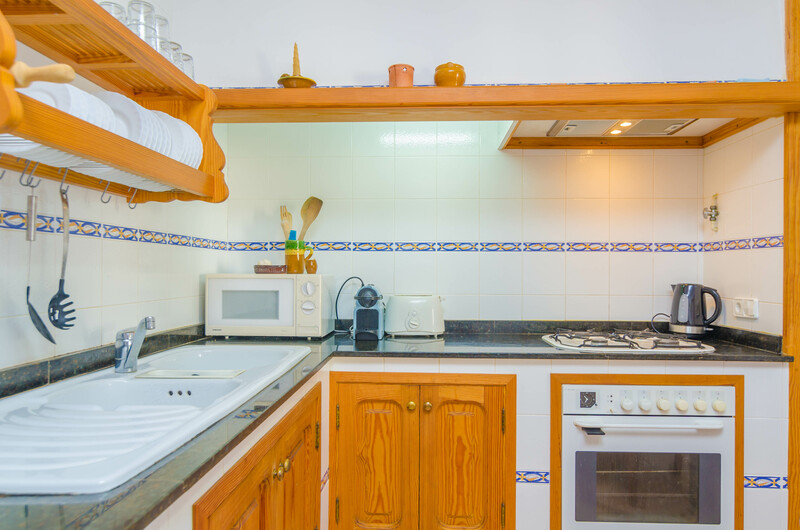 The independent kitchen works with gas and counts with a dishwasher and all necessary utensils to prepare a delicious meal during your stay. 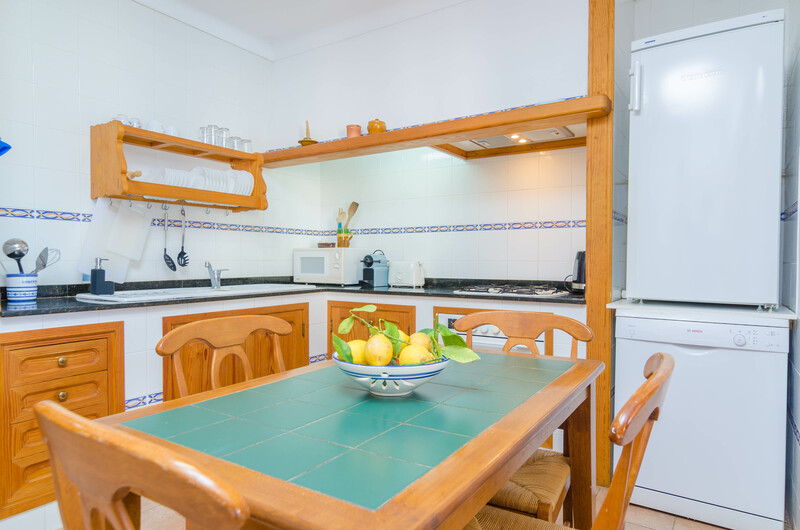 In the laundry room, there is a washing machine, an iron and an ironing board. 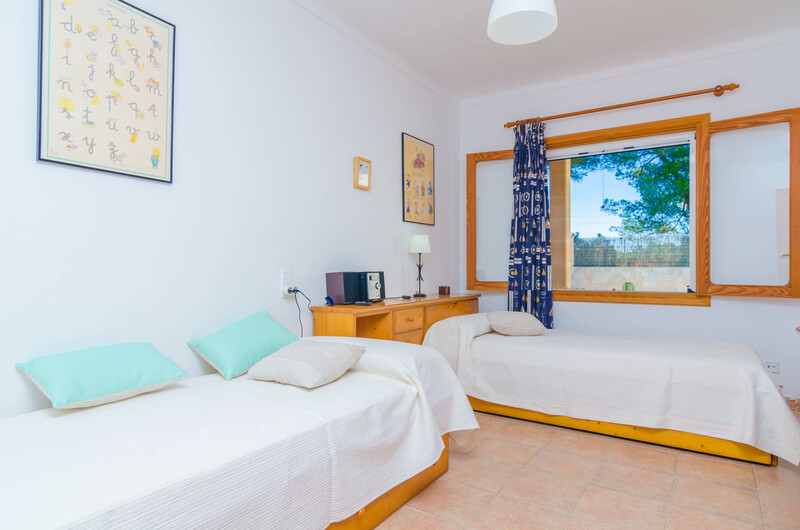 You may choose between three bedrooms: two with a double bed and one with two single beds. 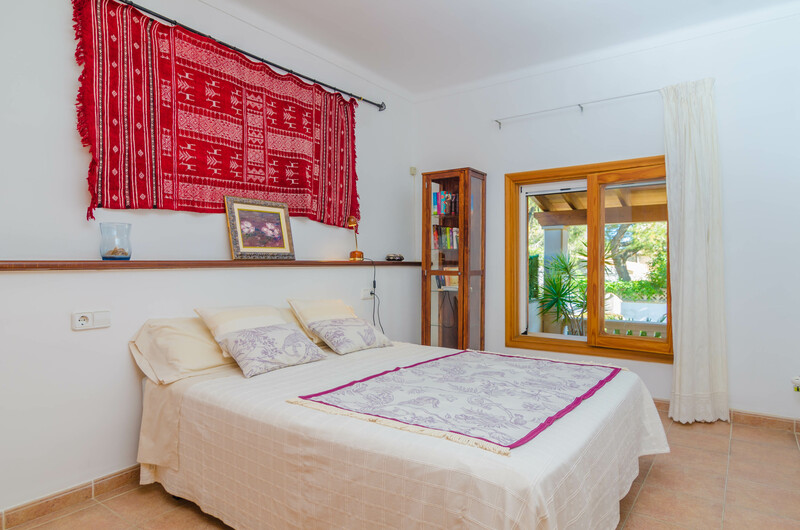 All bedrooms count with a wardrobe and air-conditioning. 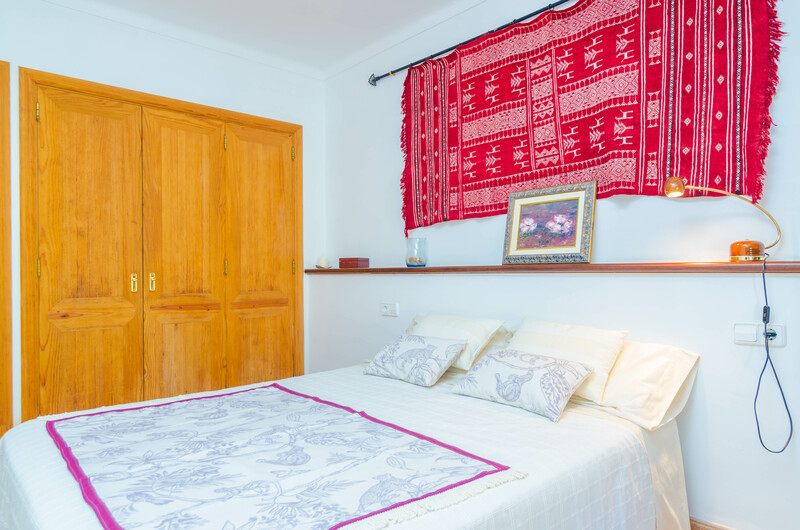 On request, we can prepare a babybed and a high chair. 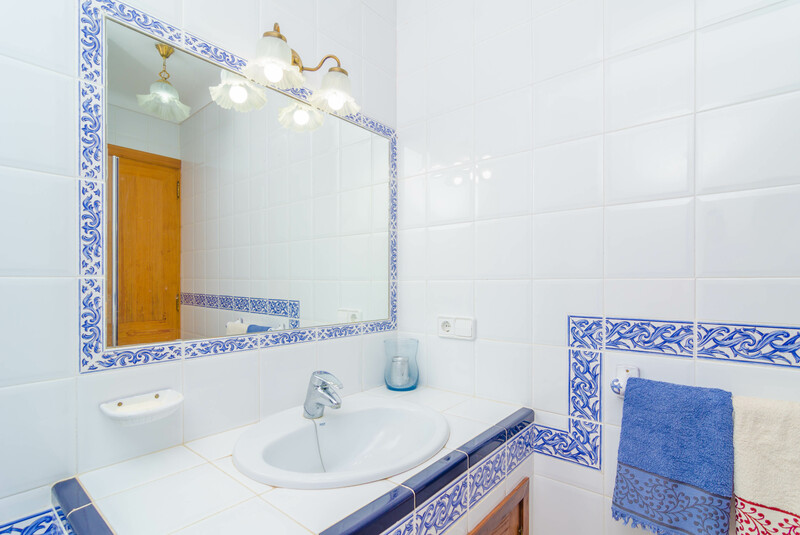 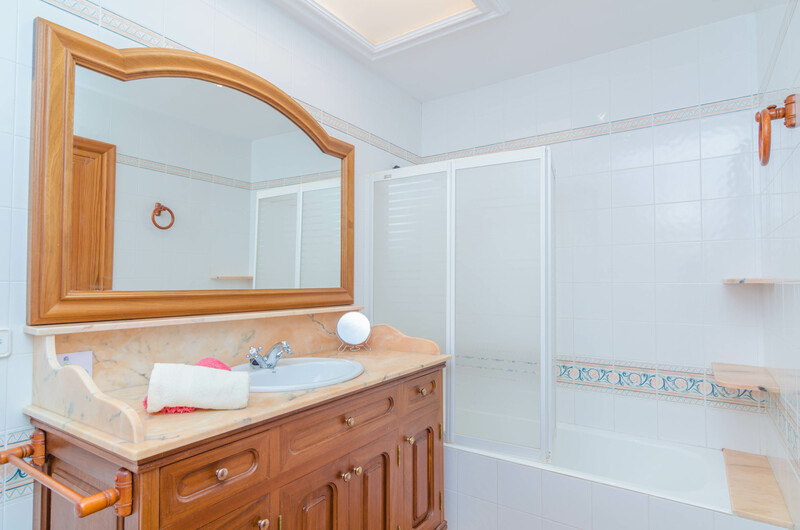 There are two bathrooms for general use: one with a bathtub and one with a shower. 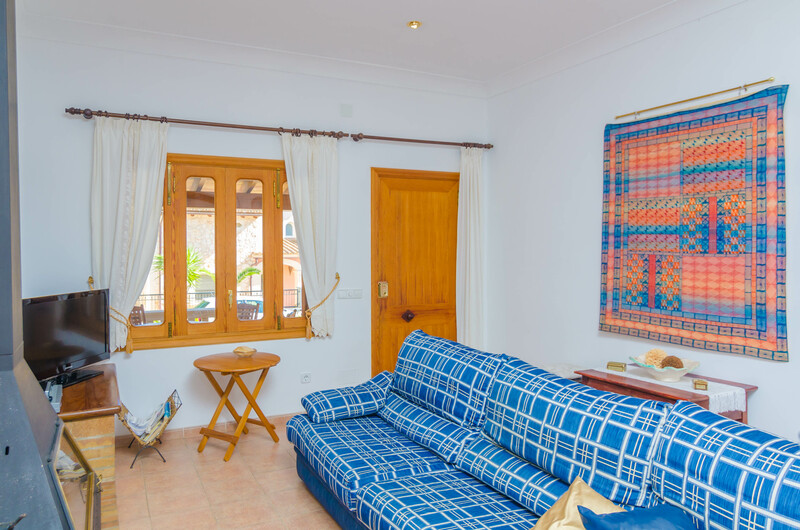 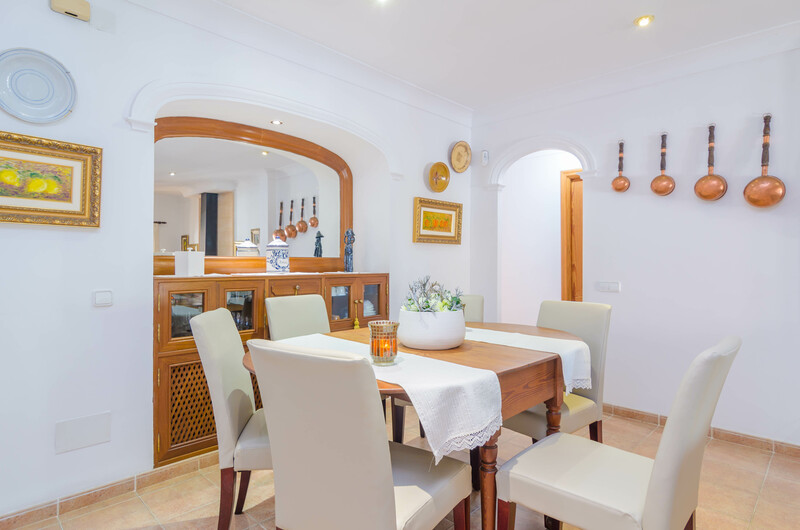 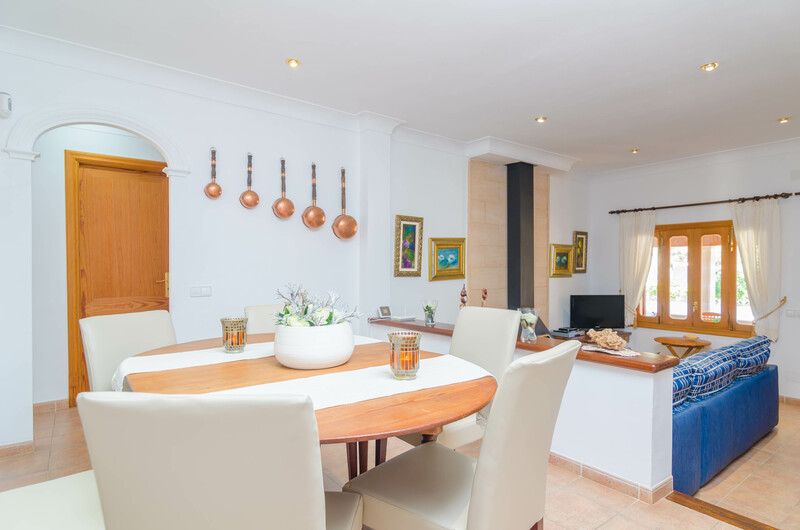 The house is situated in a quiet area, perfect to disconnect and relax. 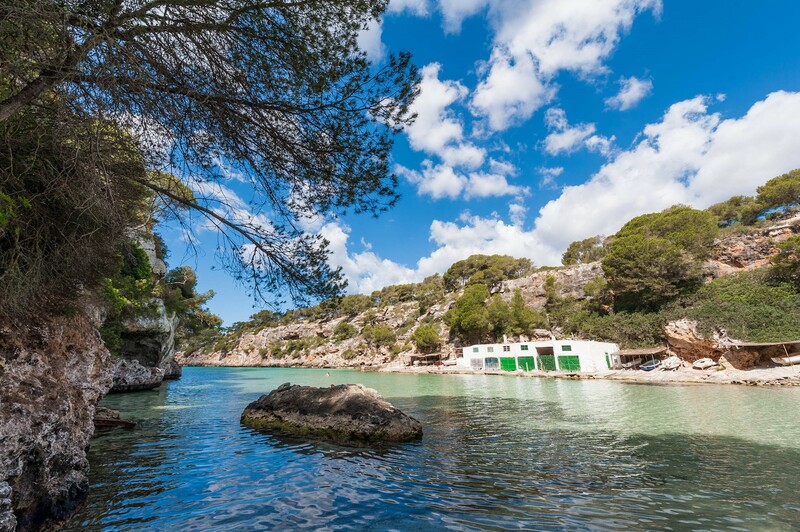 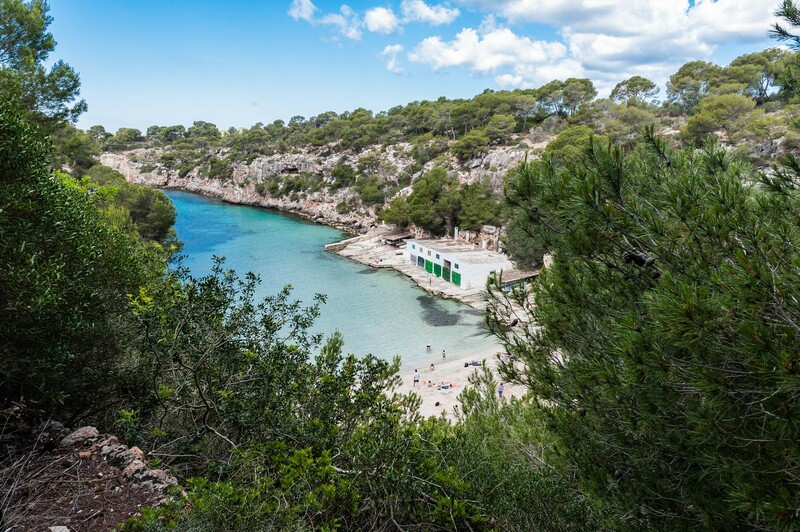 In Cala Pi you will find all basic services for your stay, and in Llucmajor, at 14 km, you will find futher variety of shops and restaurants. 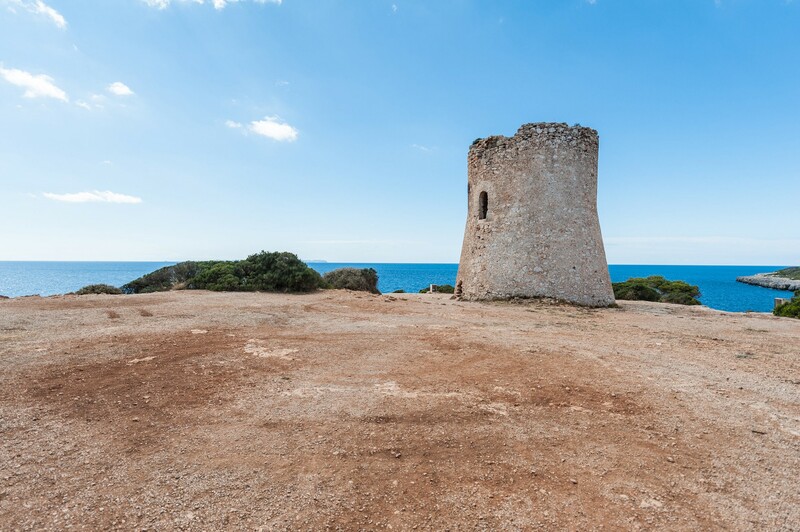 You can visit the ruins of "Capocorb", an old talayotic village, at 4 km form the house. 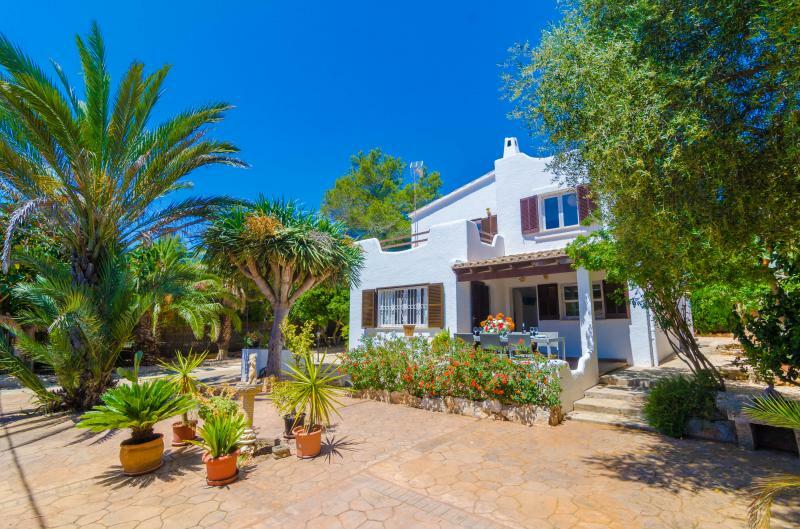 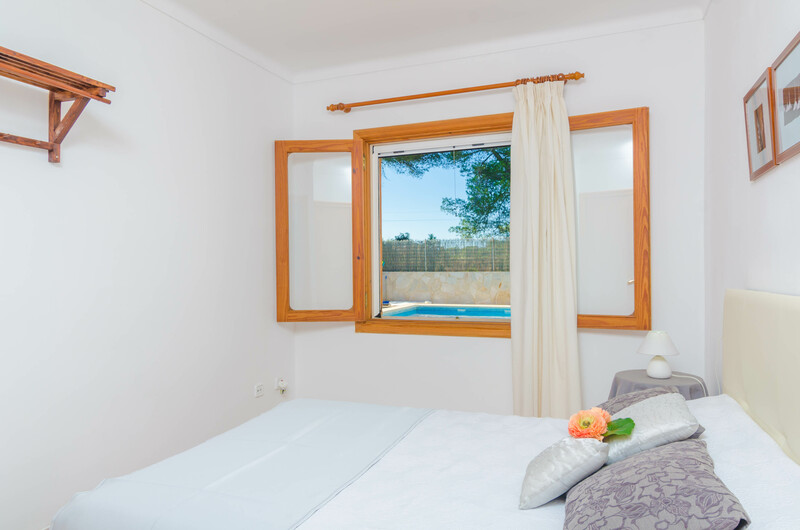 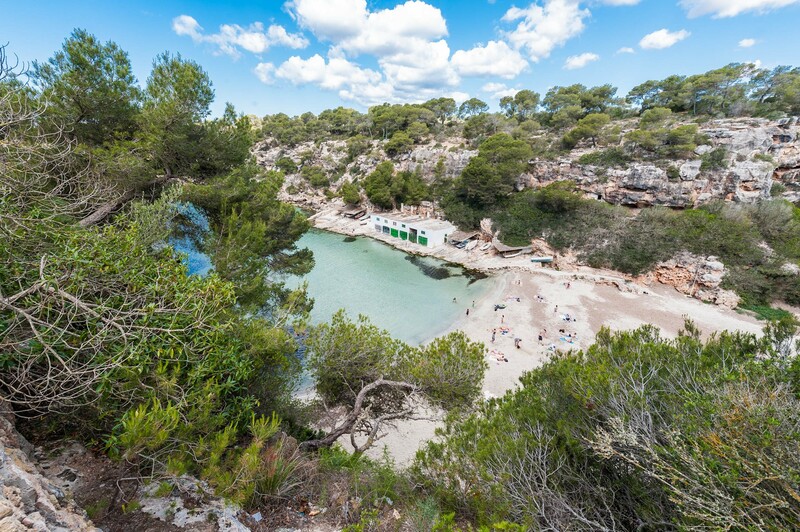 The nearest beach is Cala Pi, with fine, white sand, easy acces from the road and free parking. 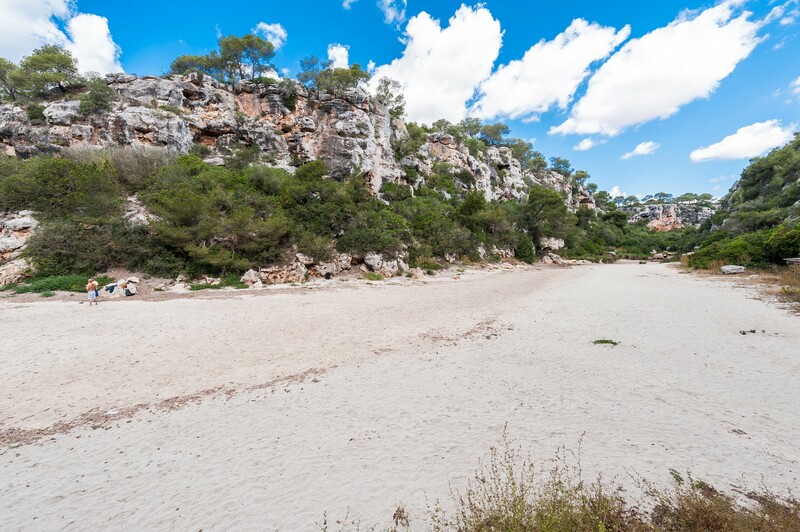 The beach of Cala Pi penetrates half a kilometer inland, between two vertical walls of more than 30 m of height. 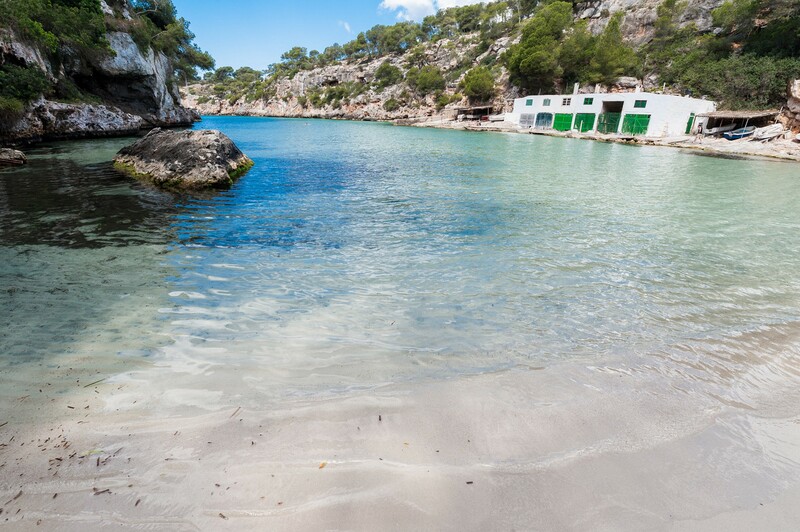 In the surrounding area, you will also find other beautiful coves and beaches such as Es Trenc and Sa Rapita. 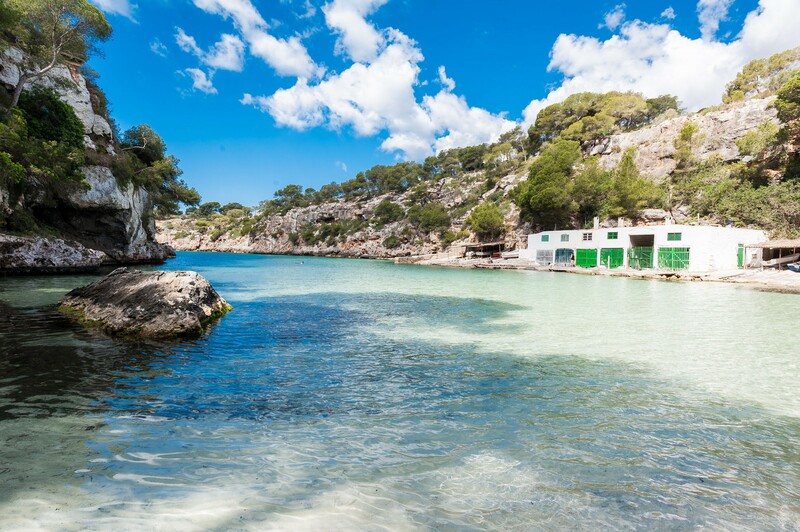 We also recommend you to visit the island's capital, Palma, where you will find a wide range of tourist offers, including cultural excursions, art galleries, restaurants and shopping centers. 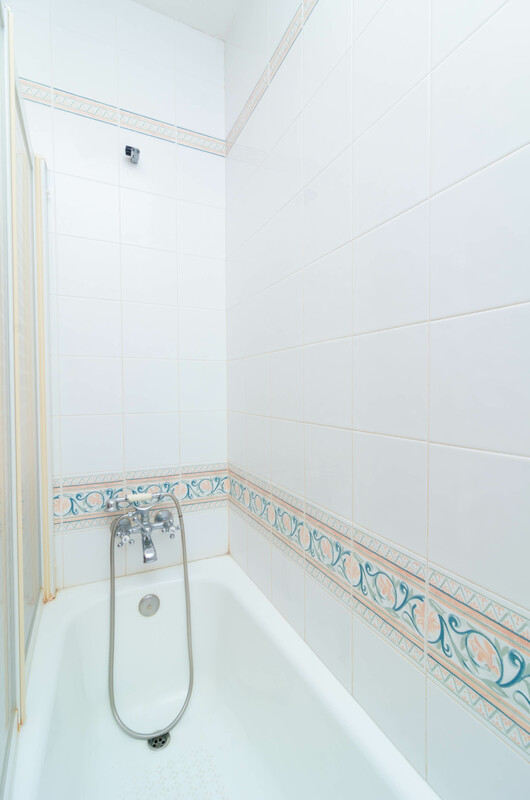 Celebration of parties or similar events are not permitted.